Are you planing to visit the Gambia, or have you already booked a trip? We visited the Gambia in February 2016 and stayed in the country for a week. We now want to give future visitors inspiration about what you can see and do in the country together with all of our impressions of this amazing destination. 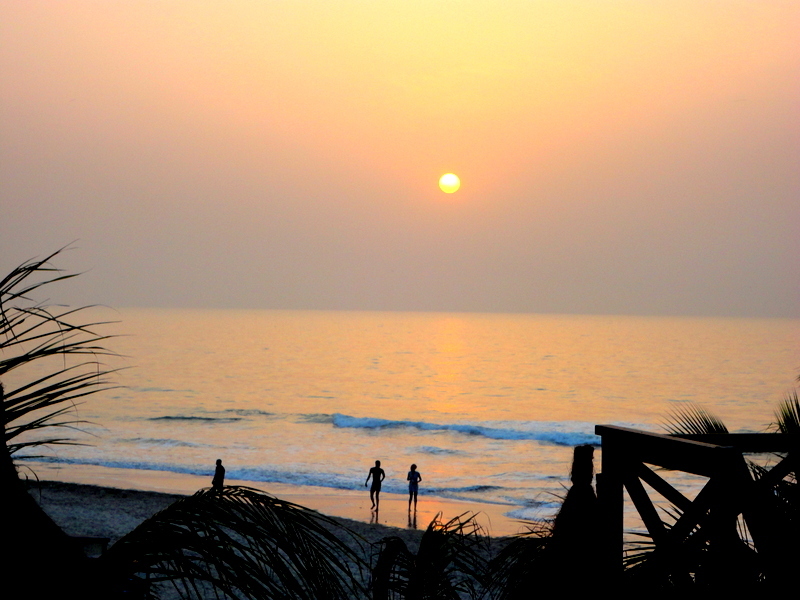 Welcome to The Gambia travel inspiration guide! We have written several blog posts about our visit to the Gambia. Below you will find both a short description and a link to each post in case you are interesting in reading even more tips and recommendations. Day 1: Flight Stockholm to Banjul and arriving at our hotel, Seafront Residence Hotel in Bijilo. Day 2: Information meeting with our tour operator and a day trip to the capital, Banjul. Day 3: A day for relaxation, walk from Bijilo to Senegambia. Day 4: Day trip to the Fathala Wildlife Reserve in Senegal. Day 5: A day for relaxation. Day 6: Roots day trip to Juffureh and James Island. Day 7: A short trip to the market in Serekunda. Day 8: Checking out, heading for the airport and the flight back home to Stockholm. An essential part of this Gambia travel inspiration guide is travelling in the country and day trips. There are a lot of day trips offered by different tour companies as well as local official guides and taxi drivers. 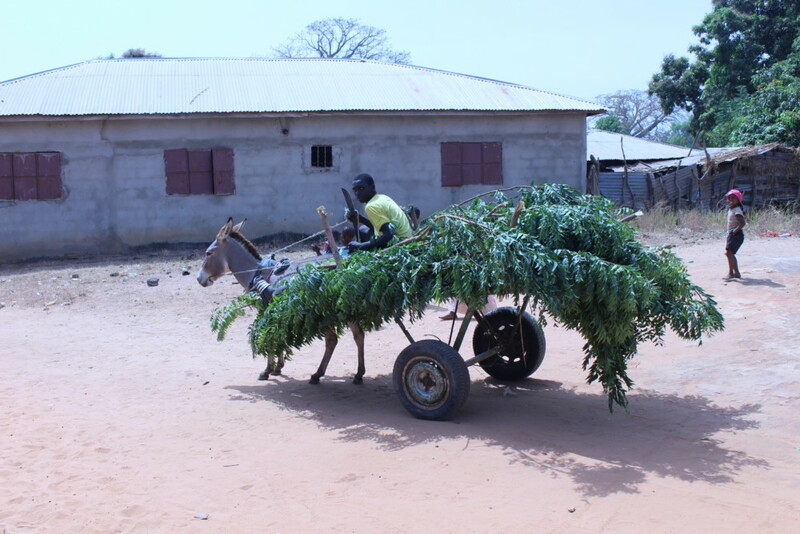 During our week in the Gambia we went on a total of four trips, using for different organizers. You can read more about them in the blog posts mentioned at the end of this post. There is a variety of trips to choose from when travelling in the Gambia. Roots – following in the path of the slave trade upstream the Gambia River to the villages of Albreda and Juffureh, as well as the old slave trade station on Kunta Kinteh Island. We decided to take this trip by boat. It is, however, also possible to do it by car. Banjul – A trip to the capital city of Banjul with a visit to the main market and the monument Arch 22. Fathala – A trip across the northern border to Senegal and a safari tour at Fathala Wildlife Reserve. The trips includes a crossing of the Gambia River with the local ferry from Banjul to Barra. 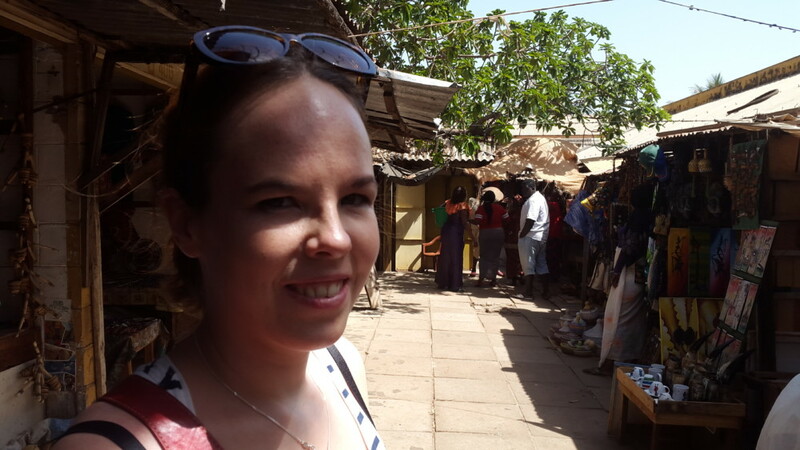 Serekunda – A visit to the market in the largest populated area in the Gambia, Serekunda. 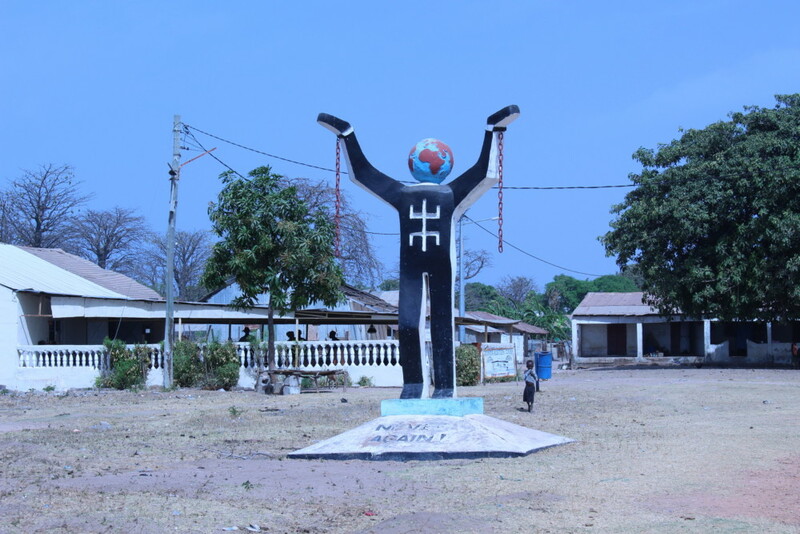 Georgetown – A two-day trip up the Gambia River to the town of Georgetown. Fishing Trip – A day fishing on the Gambia River. Who to go with? When it comes to tour operators and guides, there are probably even more options than the we ones we got in contact with and tried. Here is our list of the alternatives we used for travelling in the Gambia. One thing that we did notice was that the prices in the Gambia were a lot lower than the ones proposed on different web sites. In other words, it might be a good idea to book your tour once you have arrived in the Gambia. International tour operators such as Thomas Cook. These might feel a bit safer when you arrive in the Gambia, but you will soon be convinced to go with the local people instead. The main reason for doing so is that the money will stay in the Gambia instead of being eaten by the bigger corporations. Local tour companies. This option also feels quite safe as long as the companies have some contact with the hotels and tour operators. They are usually a lot cheaper than for example booking a tour with Thomas Cook. The Official Guides. The official guides are people trained by the government to arrange tours for the visitors. It is possible to find them in most of the tourist areas. They know a lot about the destinations and could offer good deals. Taxi drivers. These are the people who most likely will try to convince you to arrange trips with them. This might also be the most risky option, where it is the hardest to separate serious drivers from the rest. On a more positive note, you will be able to tailor your tour to your needs. Since we are talking about Gambia travel inspiration, we must mentioned the accommodation. Most hotels in the Gambia are located on the Atlantic coast. In general they are all affordable. When we booked our hotel, we mainly looked for a place with breakfast as well as wifi. We stayed at Seafront Residence Hotel in Bijilo where we had a really big apartment at our disposal. Two bedrooms, one living room, a kitchen and two bathrooms for the three of us was far more than we had expected. The hotel had a swimming pool and access to the beach. The pool area was separated from the beach by the restaurant, which was one of the better ones we ate at during our stay in The Gambia. All the dishes we tried were delicious and the service was superb. The hotel staff was also really friendly and helpful with everything. If we ever return we sure hope to once more be greeted by Yaya in the reception and have equal luck with the people cleaning the room; Leyla. the girl who took care of cleaning of our room couldn’t have done a better job. The area where the hotel is located is a few kilometers away from the other tourists areas, so there are not many restaurants around in the area. The Senegambia strip is only a few minutes away by taxi and it is there that you will find most of the restaurants. We can warmly recommend this hotel! There are four major mobile operators in The Gambia, for example Africell and Gamcel. Considering the cost of using your non-Gambian phone number while in the country, we can really recommend getting a local number. It only costs a few Euros to be able to make calls and a few more Euros to get 500 mb of data. Just make sure to get the card cut in the correct size for your phone. We got one pre-paid card for our week in The Gambia. It was less than 10 Euros for both the credit to be able to make calls and 500 mb of data. Which was enough for our week. With the card it was a lot easier to arrange with taxis and also to arrange the excursions that we did. Being able to make calls also makes you feel safer when in a new country. Considering the lack of Wifi-zones in the country, being able to connect to the 3G network is also a possitive addition. 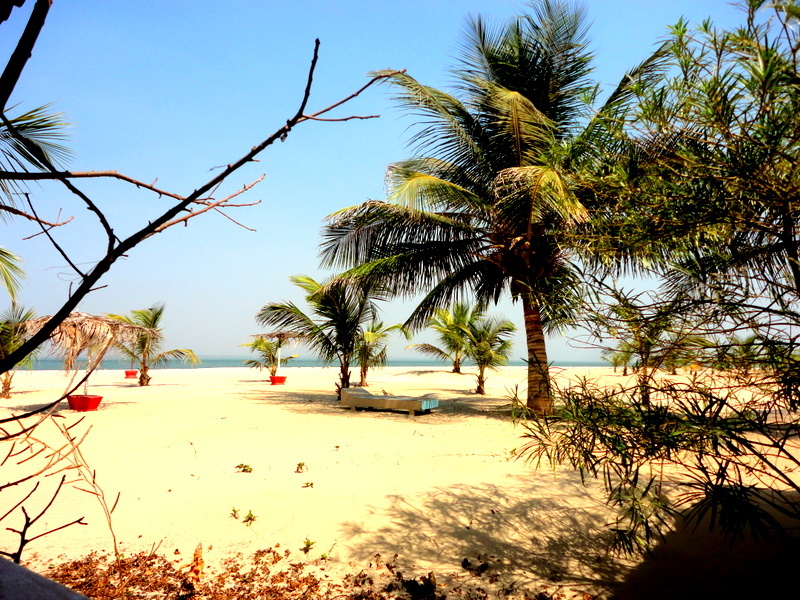 Find some more Gambia travel inspiration by clicking your way to our blog posts about the Gambia. This is a post about our first impressions when arriving in the Gambia. Here we also talk about why we decided to go to the country. About our first full day in the Gambia and a trip to the capital city of Banjul. Actually we managed to squeeze in two countries during our week in West Africa. This post is about our day trip to the Fathala Wildlife Reserve in Senegal. The transatlantic slave trade is an essential part of Gambian history. The bestselling novel Roots tells the story of Kunta Kinte, a young man taken from the Gambia to America as a slave. These tours are very popular and also very educative. Not all day trips must go far – sometimes the tired travellers benefits from shorter journeys. The market in Serekunda is definitely worth it when in the Gambia. We hope that you find this post about Gambia travel inspiration useful. Now tell us, have you ever been to the Gambia or is it on your list? What are you recommendations for things to see in West Africa?